OK Red Sox fans, I’ve got some exciting news for you! 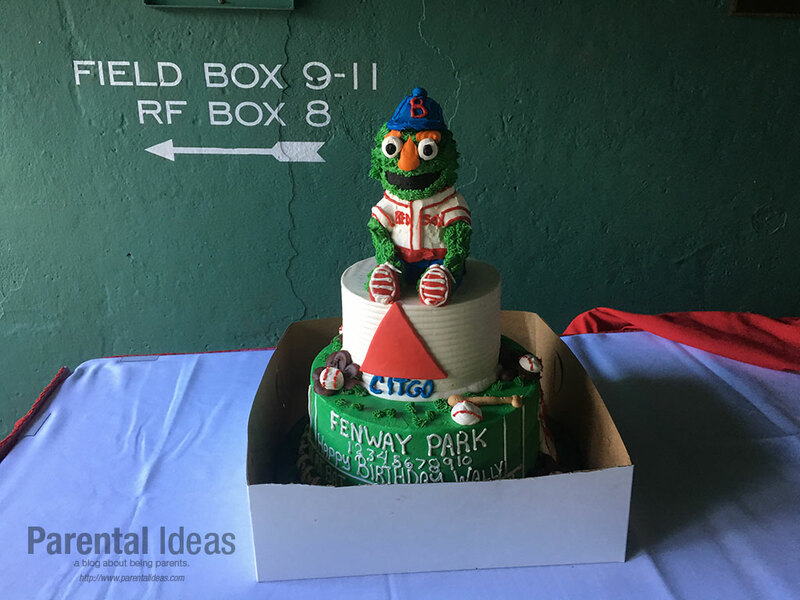 The Red Sox have absolutely gone to town with promotions and giveaways this year and have some pretty amazing giveaways coming up! 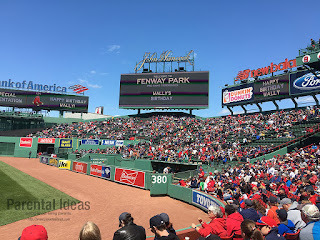 We were lucky enough to attend Wally’s Birthday a week ago and got a cool Red Sox tote bag, but more on that later! So, as you may have heard, this year is the last season for Red Sox slugger, David Ortiz (a.k.a. Big Papi), one of our favorite players on the team! 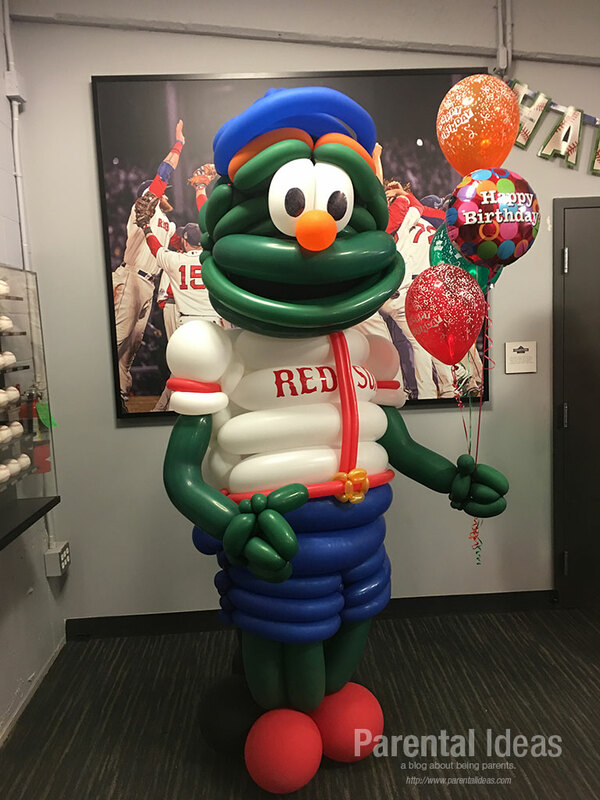 In honor of his great accomplishments, the team has a slew of Papi-related giveaways coming up (Build-a-Papi on July 26, Papi Gnome on June 21, etc.) but the one that we’re excited for is the Papi Canvas art that will be given away to the first 15,000 fans in attendance on Tuesday May 24th. 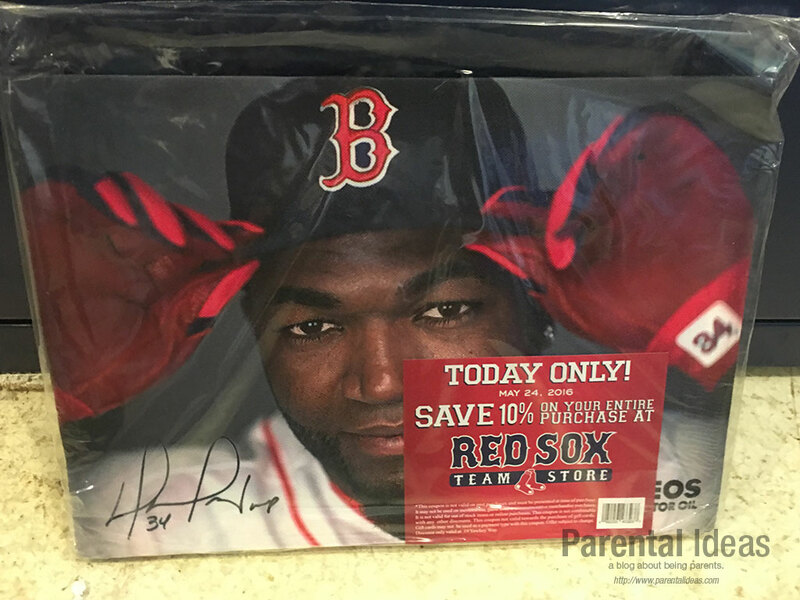 As a Red Sox Parent, they sent me one to hang on the wall. I also received a David Price Bobblehead doll to give away to one of our lucky readers! So… you know what to do, fill out the rafflecopter at the bottom of this post! 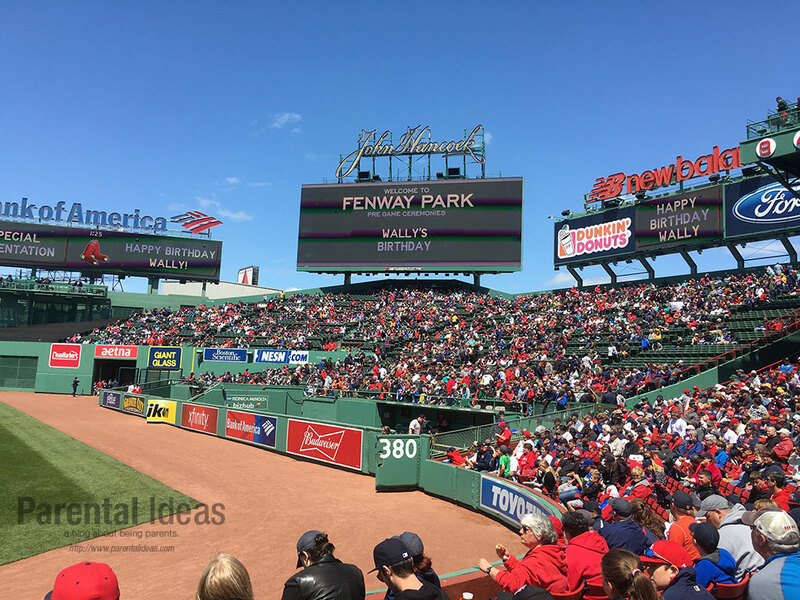 Now… for the recap of our amazing trip to fenway for Wally’s birthday! 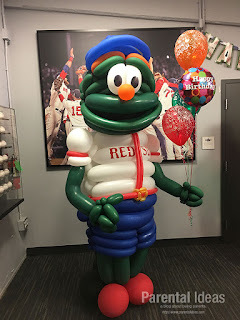 The game started at 1:35 on a Sunday afternoon, but we were lucky enough to get into the VIP birthday party with Wally and his friends which started at 11:35. 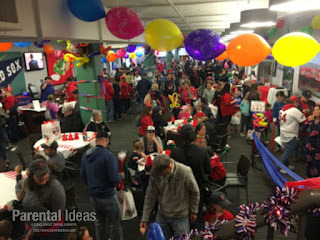 We lined up outside of gate C at Fenway for the special party and once inside, we received the day’s giveaway (a Red Sox tote) and went to the party inside of the Champions Club. 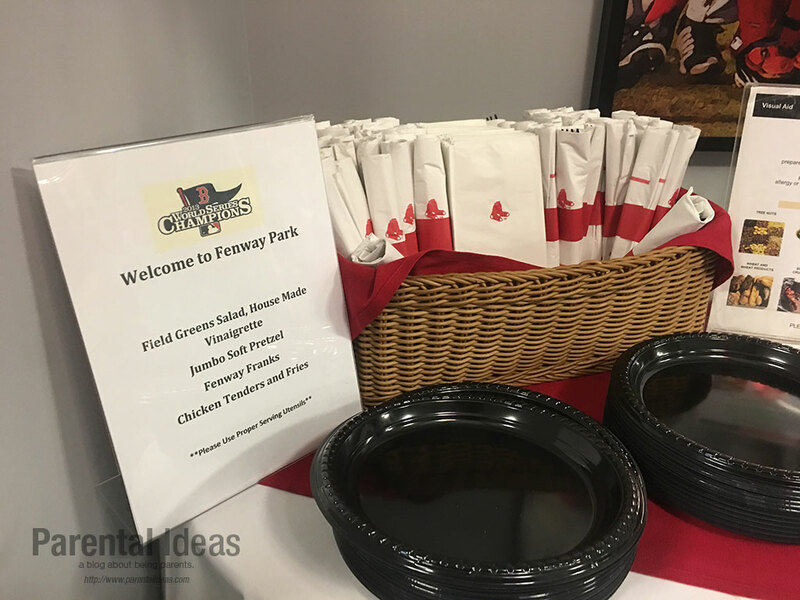 Last year, the Red Sox created Wally’s Clubhouse which took place inside of the Champions Club at Fenway from innings 3-7 during most games in the summer. This was a great idea to keep the kids out of the hot summer sun and give them an air-conditioned place to relax. We’re happy to say that it looks like this is being continued for this year as well! 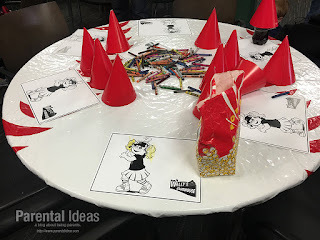 When we entered the party we each got our Wally gnome and proceeded to a balloon-filled party room complete with food, snacks, games and more! We took in the sights and sounds of the party and then took a little break to go see the Sox and Astros take batting practice on the field. After we had our fill of food, it was time for the main event. 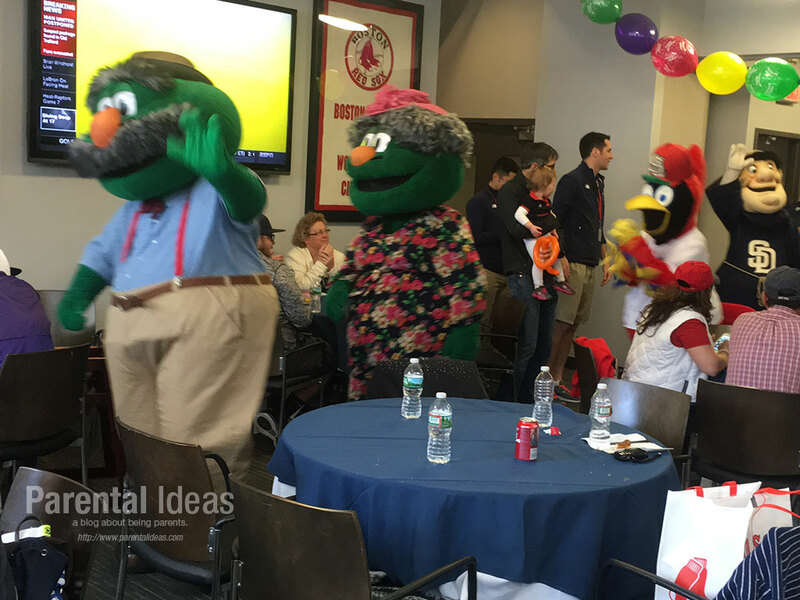 We all gathered near the front of the room and then Wally came into the room with all of his mascot family and friends from other teams. We all sang happy birthday to Wally and then posed to take pictures with him, his family (Walter, his dad, Wanda, his mom and his little sister, Tessie) and friends. 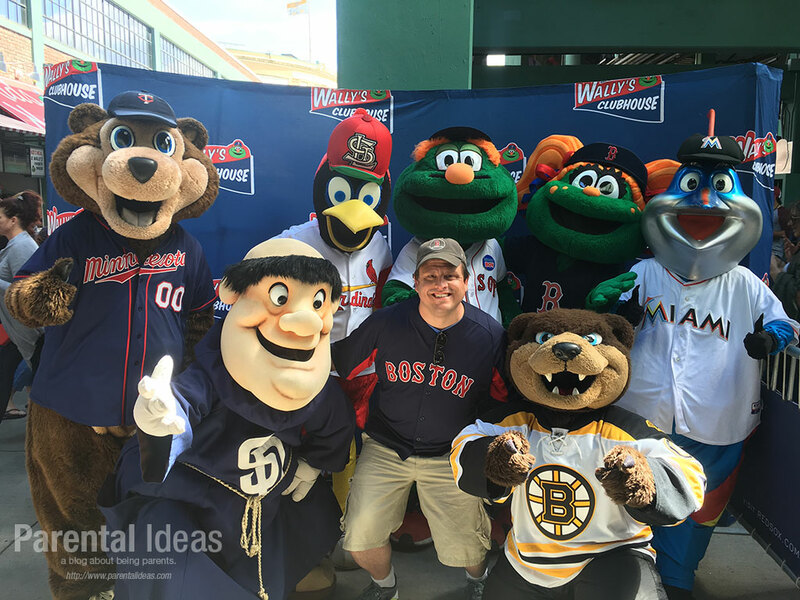 We took our picture with Wally, ate some more food then went to our seats in Right Field to watch the pre-game festivities and the game! In the fourth inning the Red Sox invited us to visit Wally’s Clubhouse again and this time we got to eat some of his birthday cake. 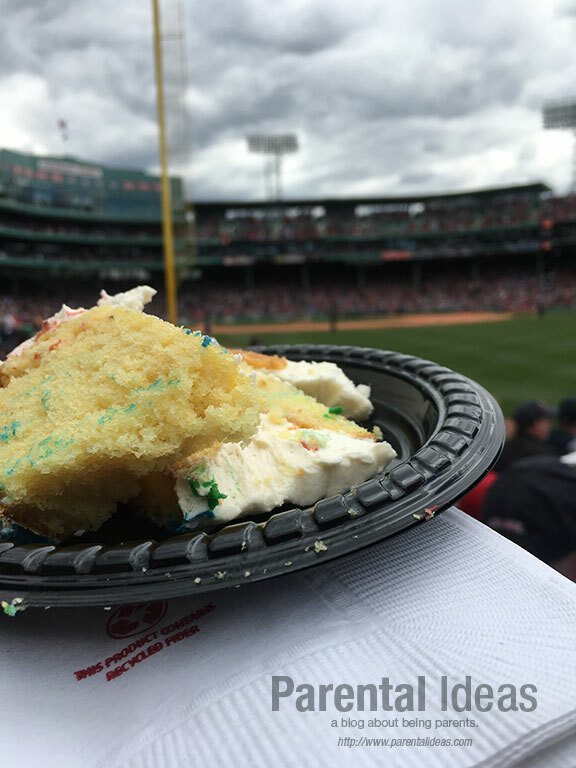 It was so delicious and honestly, how often do you get to go to a baseball game and eat birthday cake! That was a great addition! 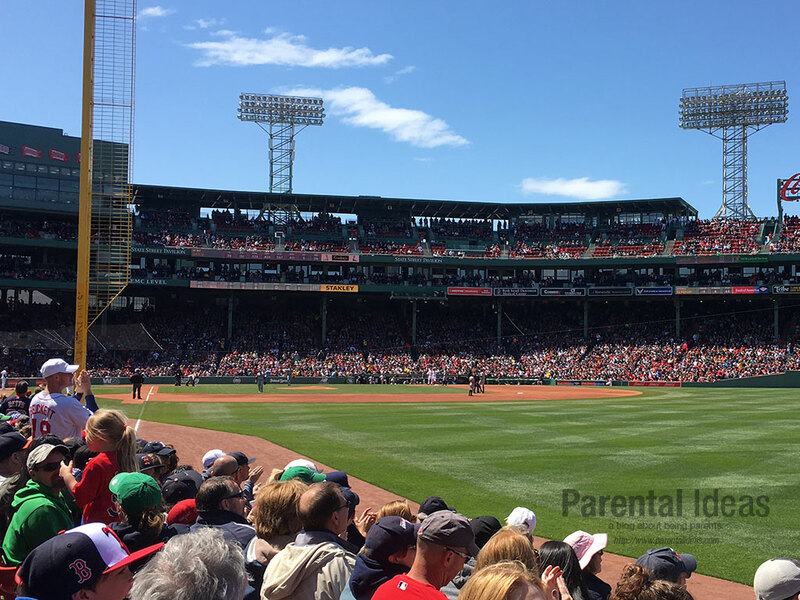 After a gorgeous afternoon of springtime baseball, we hopped in our car and went home. We can’t wait to do it all again! 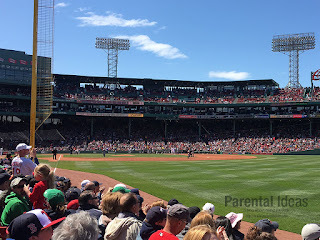 NOTE: We were provided with tickets to the game and the canvas print and bobble head doll for review and bobble head for giveaway courtesy of the Red Sox as Dave is a Red Sox Dad. There was no promise made of a positive review, but we had a really great time anyways! All opinions are our own.